Grand Canyon National Park, AZ – Hide in Plain Sight | Going out is really going in. 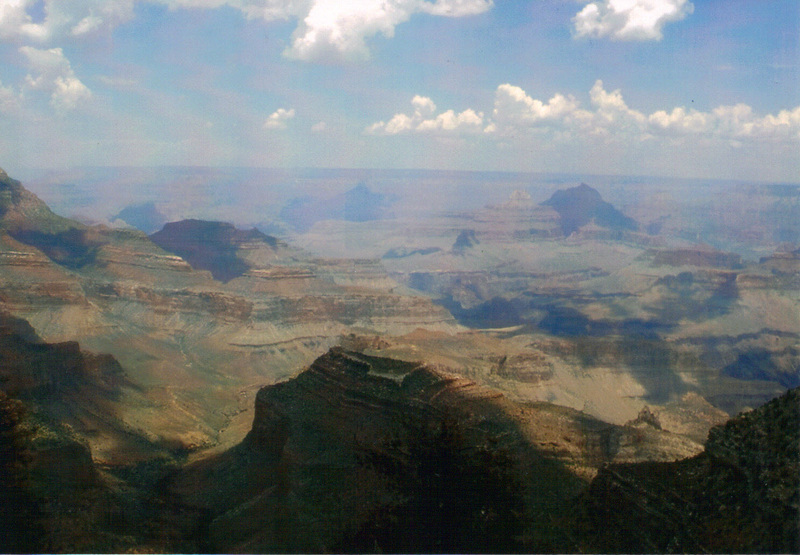 This is my 48th blog post, and it’s about time I got to the Grand Canyon, don’t you think? Well, I’ve actually been there several times, but I did all of my hiking there when I was a kid. 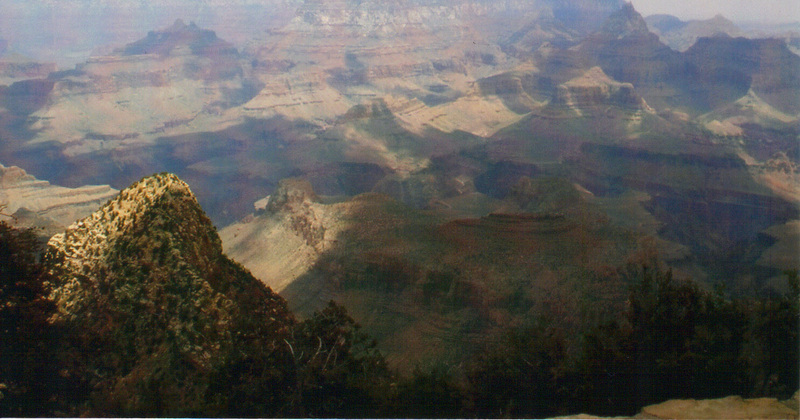 I’m sorry to confess, and I’m surprised at this: I have no photos of the Grand Canyon from those visits. In various years we hiked on the Kaibab Trail and the Bright Angel Trail, traversed Indian Gardens a couple thousand feet below the rim, even spent the night at the bottom of the canyon at Phantom Ranch, and always got passed by mule trains on the way down and on the way up. But I have only marvelous memories of those adventures. 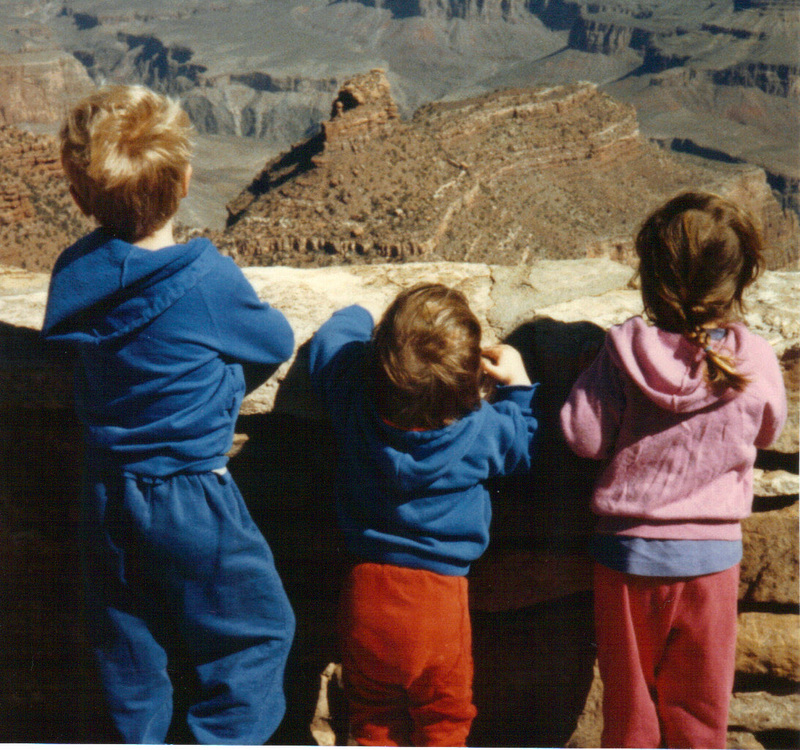 The first time I visited the Grand Canyon as an adult, my family was not yet complete. We had only three of our four children in 1991, one still in the stroller, not quite walking, so family hiking beyond a short test run down the Bright Angel trail was not really an option. Somehow over the next many years with all four of our kids, we hiked hundreds of miles in many other National Parks, but never returned to hike into the Grand Canyon. The last time we were there, we just passed through on our way to Zion National Park. We had lunch at the venerable El Tovar Hotel – Teddy Roosevelt slept there – and then drove along the South Rim, stopping at overlooks to gaze into the Canyon and take photos. For me, it was tough to spend so little time in a Park that long ago nestled into my psyche. I felt drawn to the grand vistas, seamlessly changing in accord with the angle of the sunlight, moving cloud shadows, and shifting natural hues in the close-by and distant rock formations. 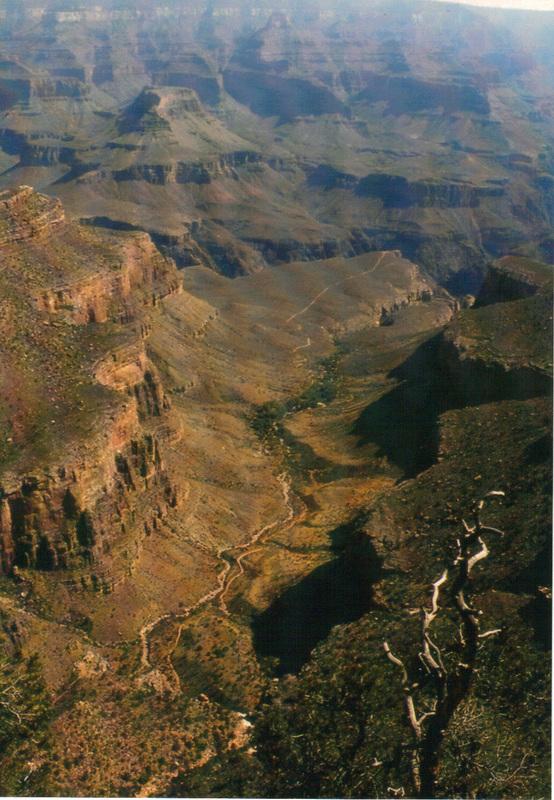 The Grand Canyon is a place to linger and absorb the scenery, whether or not you hike. You could sit for several hours in the same location and maybe get just a tiny sense of how things might have changed with the passage of millions of years. 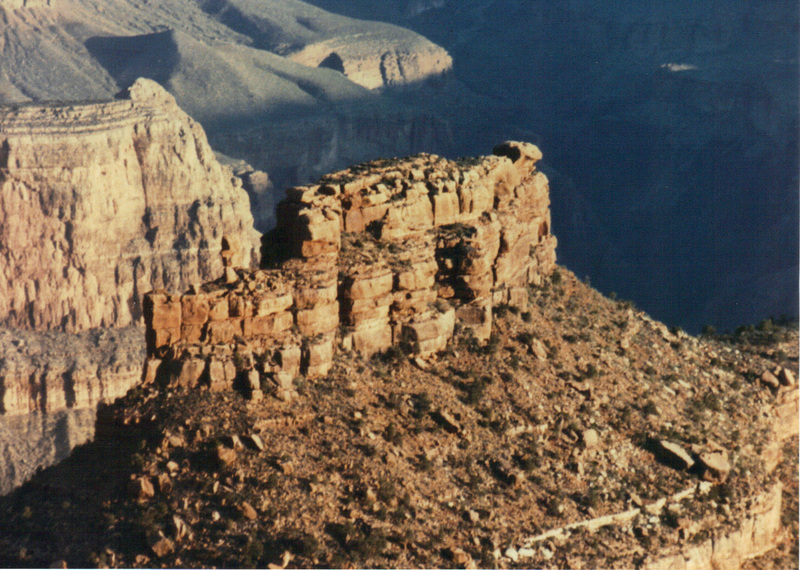 Most visitor accommodations and amenities are on the South Rim. It is lower than the North Rim and shakes off winter sooner. But I want to see the Grand Canyon from the other side, and I hope to visit – and stay and hike – at the North Rim in 2014.